Halloween is just a few days away! Do you have your best costume ready? There’s an old story that no one ever likes to talk about in Dizzywood. It’s a scary story that will get you in the mood for Halloween. Brooke Lodgington has put the final touches on her fabulous new homes, and they are now ready to preview and purchase! Have the sandy Dizzywoodbeach right at your toes with the new beach home, or set up a cozy hideaway in the wagon home. It’s all up to you! Visit Brooke Lodgington in Presto’s Edge to hear more! 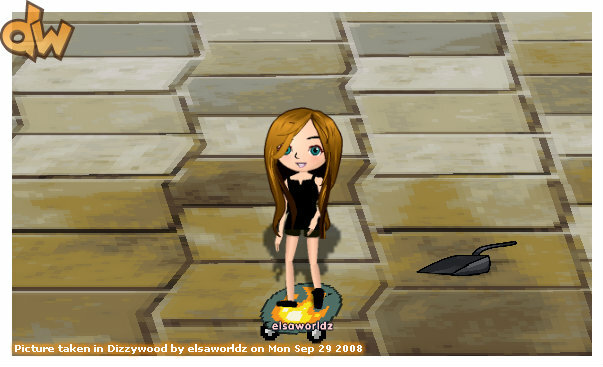 message from elsaworldz: hey the first pic looks more like gull island, not a minature breakwater beach!! The small red whistle on the bottom left hand corner of your screen will temporarily be removed. If you look at the bottom right hand corner of your screen, you’ll see a red link titled, “Report a problem”. If you encounter any problem while exploring Dizzywood, please click on that link and correctly fill out the information needed so that we may help you the best that we can. Do you feel it creeping up behind you Explorers……it’s coming and there’s no way of escaping it. Cloud Sprites are whispering that a dense fog is rolling in, bringing with it an unforgiving, nightmarish darkness. What this darkness will bring to Dizzywood, nobody knows. the misson is to go find aeerie( or something like that)'s crystal key, fisrt you have to find it then go put it in a key hole, its gonna work like going to go to breakwater beach with the key. the crystal key is at the ( the)chasm. i think the pics might not work... so let me just explain it. this is my new costume,, you can get it from the scarecrow. this is a little devil costume, i get to carry a pitchfork. HaHA!! I get to stab you!! oh sry, yep i know im weird!! i think my message is below, sry if it got in twice!! sry, i think my pics dont work...oh well i have a red little devil costume with red hairw/ black streaks. the ballots are in garden gazebo, by a tree, the tree is located at the very left by the dark bushes. oh and i know that the picture is like HUGE, sorry my blog manager wont let me decrease the size!! Presto was told that many new Dizzy citizens really want to get involved with the elections. Although the registration period officially ended yesterday, Presto’s final act as Chief Poobah is to extend the registration until voting is over. Thanks, Presto! oh and guys i am like the sorriest person in the world if these pics. dont work, i have tried a billion times to get these, so if they dont work , i am really sorry!!! Notice: now there is a little voting booth, which you can vote for master swingtail, kat, or cecil. After you vote, you will get a "I voted" T-shirt. And remember, you can only vote once!!! i know that my archives are only from october, but yes, i have been blogging first at september, almost half of this info. is from september. so, plz dont be so suprised if all of them say october 18, or oct.19, that the post wqas posted. from now on, they will be all normal posts, and most hopefully have the right date. hey guys, who do you think is going to win the election?? Ok. so here is a simple picture from the explorers journal showing how many people voted for who. k, i see 7 kat signs, and 2 cecil signs and 2 melinda( master swingtail) signs. in this picture it's clear that kat is winning the race, so come on, register and make a difference in dizzywood!!!!! Every four years a very important election is held in Dizzywood for the position of Chief Poobah. This weekend every explorer in Dizzywood can meet the candidates and register! Presto the raccoon is Dizzywood’s current Chief Poobah and he’s sadly stepping down after four excellent years of serving the Dizzy citizens. He’s had a great run and is now ready to hand the reigns over to the next qualified candidate. What are the responsibilities of a Chief Poobah? Many of you have been leaving really awesome comments about things that you’d like to see in dizzywood. There are so many great ideas coming in that we thought we would take some of your ideas and hear which ones you’d like to see us work on! hi, explorers, todays daily event is to find the wizard's staff pieces. The pieces are at wildwood glen and in breakwater beach. ( one is a orb and the other is the staff). the reward is a wizard staff and a wizard hat. the telescope is at mage barrow in the left!!! 1) the lighting bolt is at tanglevine jungle, its by the river. 3) the moon is at garden gazebo, by a orchard tree. the reward is a blue moon, 250 coins, and a misson unlocked which is professer nouturnce flash cards, goodluck!!! As childhood friends, two small owls came together underneath starlit nights to play a weekly game of Chess. Nocturne would take his time scientifically planning each move, while friend Archimedes could be heard casting spells just waiting to call checkmate. ok, so i checked the dizzywood explorers journal one day, and there was a mysterious sketch of a town/place called canal city. Whats that? 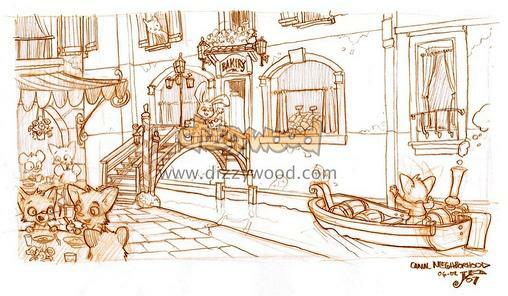 I told my friend, and she told me that that city might be a part of dizzywood in a year, three years or three months. We all hope that canal city is going to be accessable soon. if you have more information on this topic please tell us!!! My email is at elsaworldz@yahoo.com. oh and rumor is that if kat will be elected poobah , she might open canal city! the clay paste is at explorers camp. If you ghostray a tent, you will find it. the tent that is beside me is the tent you have to ghostray, i was out of ghostray, to show you guys, but yep, thats where the clay paste is. Remember, its the tent that has the bed and lantern beside it. i know , the h.e. le snout euipmnet thing is not working, i know the pics. are really weird. 4. Jaguar temple, I didn't get a picture of it, because my color camera was crazy!! It's on the plateau that has the game machine on it.